nese medical minds lasted for fifty years. Even the Chinese, who invaded Tibet in the 1950’s have actively tried to preserve the medical system whilst destroying over 6000 monasteries and temples. A few years ago on the Shanghai Stock Exchange a Tibetan Medicine company had an IPO of $75 million. also the mind and spirit. 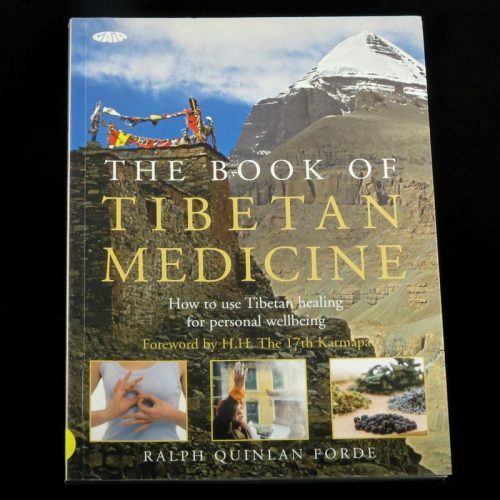 "The Book of Tibetan Medicine", by Ralph Quinlan Forde, which has being published world wide in 11 languages, claims His Holiness The 14th Dalai Lama has been the main visionary and driving force, in exile, who has saved this medical system from extinction. The establishment of The Tibetan Medical and Astrological Institute in Dharamsala was one of the first projects His Holiness The Dalai Lama undertook when he first came into exile nearly 50 years ago. This Institute now trains doctors in this traditional medicine, manufactures herbal formulas and supplies healthcare to over 50 Tibetan refugee camps in India. Many westerners now also consult with Tibetan Doctors, asking advice on how to heal and help cancer, heart disease, diabetes, and even HIV. In the book, which is fully illustrated with over 140 paintings, His Holiness The Dalai Lama is pictured together with Lady Doctor Bhutti whom He personally encouraged to train as a Tibetan Doctor along with a handful of other suitable candidates. Dr Bhutti now lives and practices in Boston. She and her class mates memorized the four medical tantras before qualifying as Tibetan Doctors. Tibetan Medicine, an extremely important part of Tibetan culture, is a totally integrative medical system that is 1000 years old. Tibetan Doctors train for up to ten years. Only one copy of over 70 sacred medical paintings of this healing science now exist. They were painted in the 17th century and one painting alone depicts the development of the embryo week by week, without the use of modern scientific equipment. According to The Buddha all sickness begins from a false assumption that an independent autonomous self exists and by not having an understanding of emptiness, devoid of self or shunyata. This belief in a self is called marigpa. This wrong view ultimately produces 84,000 afflictive emotions. the body called Lung (wind), Tripa (bile) and Bekan (phlegm). If a person has too much of any of the mind poisons, diseases from an imbalance in the energies occurs. 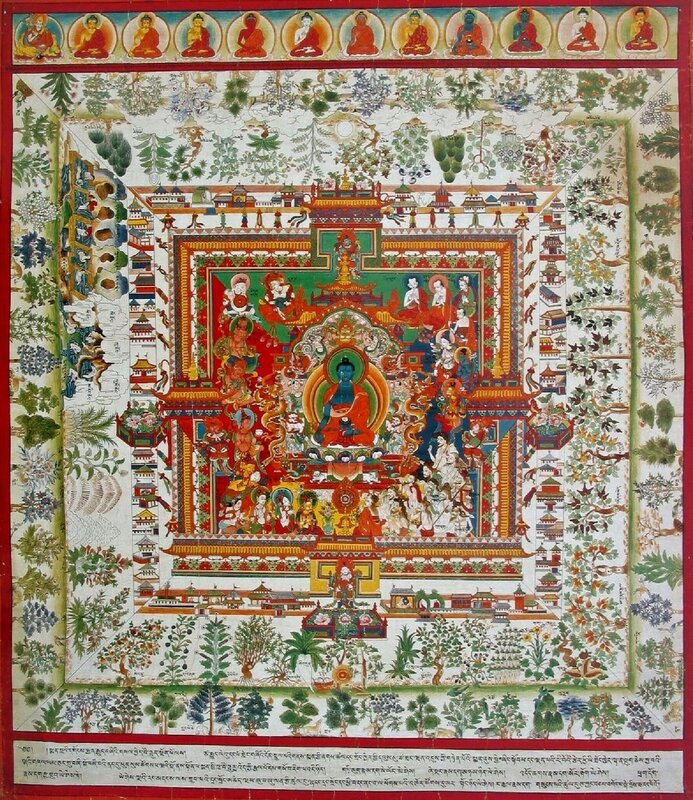 Tibetan Medicine is based on maintaining these energies to be in harmony with one another. Every one has one of these constitutions more predominant that the other and sometimes a mixture of two of them. with anger and jealousy surfacing. Generally they suffer from hot diseases. Bekan is very strong build with and cool body and thick skin. They can endure hunger and thirst and over their sleep. In fact sleep is the answer to all their ills. Their digestion is sluggish which creates their susceptibility to mucus diseases. They tend to be shy. 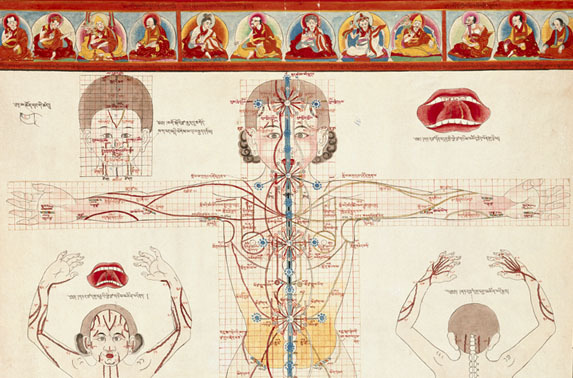 As an integrated system of health that is one millennium old, Tibetan Medicine can offer allopathic medicine a different perspective on health. However, like other scientific systems, it must be understood on its own terms and we may need to wait for western science to evolve in order to understand the positive results that Tibetan Doctors get especially in areas such as psychiatry. In particular, the synergistic herbal formulas, over 1000 formulas with up to 30 herbs each, are renowned for restoring health over a period of time with very little side effects. One formula, Padma 28, is manufactured in Switzerland in a pharmaceutical facility and has undergone a number of scientific studies. The formula is particularly successful in the treatment of intermittent claudication and vascular disease and has been used in the west for over 35 years. The product Padma 28 interestingly has also been shown in scientific studies to stop the spread of cancer in the body. 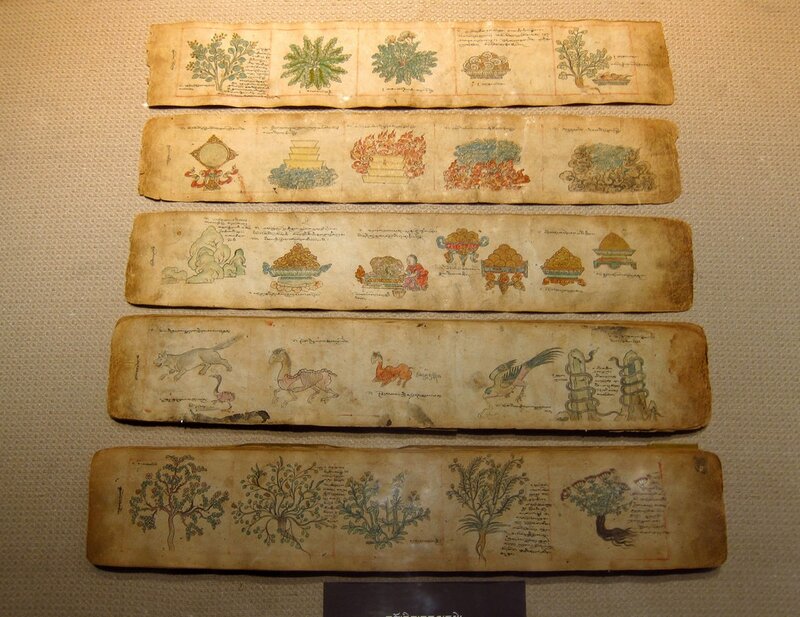 Tibetan Medicine also contains the oldest psychiatric system in the world, complete with methods of diagnosis and treatments. 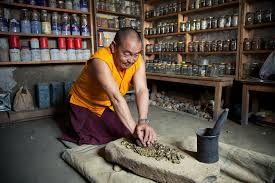 Interest in Tibetan Medicine has been increasingly growing in the west over the last few years. Patients always refer to the kindness and compassion of the Tibetan Doctors and the effectiveness of their treatment and care over time, as they work to restore the body's systems that promote health and well being.